When comparing the usage of the previous version of the sh:z ePaper app with the new version, there's a difference of 32 % in publication downloads through the app. And a difference of 29 % in page views. Both in the favor of the new app. 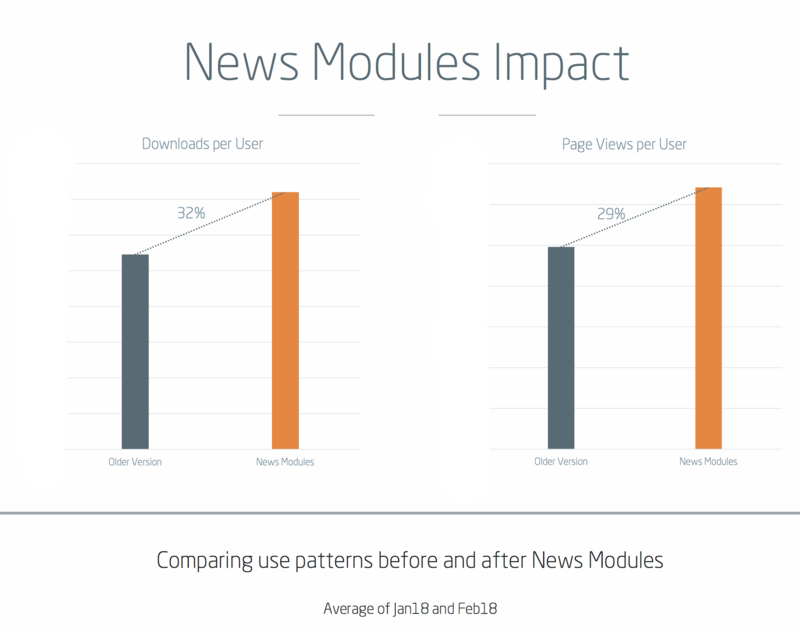 According to Svenja Degner, Product Manager Digital at mh:n Medien and NOZ Medien, there have been increases on pretty much all parameters following the release of the new app. And it isn't at the expense of the readers, she says. “The readers really like the new app. They like the design and find it very innovative. We’ve experienced that the readers consume a lot more of our content and this has led to significantly increased engage time,” Svenja Degner explains. She also tells that the ad revenues have increased and this is mainly because of the interface of the new app. With its module based design there's more ad space compared to their previous solution, and with 16 titles included in the sh:z app there's plenty of ad space. Learn more about sh:z's ePaper app as well as their smartphone optimized interface in this blog post. Last night at 7 PM, users of the new sh:z ePaper app noticed that “Today’s paper” had been replaced with a “Abendmagazin”. This directly translates to "evening magazine". See sh:z's product video of the "Abendmagazin" below. For many publishers, the ePaper is dependent on a presence of a print newspaper as the ePaper's sole purpose is to function as a digital distribution channel. The sh:z "Abendmagazin” stands out by being independent from the print paper, so to speak. mh:n Medien and NOZ Medien- the media groups behind sh:z - developed a content cockpit that allows an editor to handpick the best news stories from the current day and present them in an edition that’s published at 7 o’clock in the evening from Sunday to Friday. The evening magazine makes use of numerous enriching elements that are not possible in the replica newspaper such as picture galleries, videos, live news tickers and games. That's why sh:z describe the product as being as exciting and entertaining as a magazine and informative like the daily newspaper. You can read more about the "Abendmagazin" on sh:z's website here. Note: It's in German. 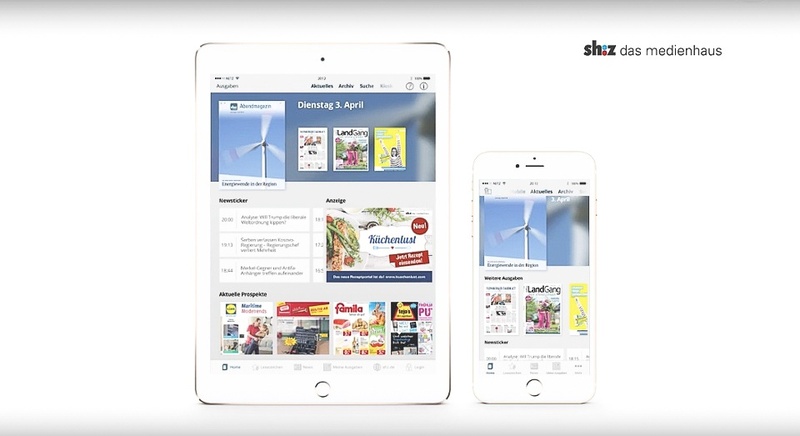 The new sh:z app is based on Visiolink's latest digital publishing solution News Modules. If you want to learn more about News Modules then click the image below. Or get in touch with one of our Key Account Managers. They'll be more than happy to tell you all about it.